TerraCycle has made a name for itself by turning landfill-bound objects into one-of-a-kind accessories, and its newest line of bags is no different. Stitched together from decommissioned U.S. Postal Service cotton-canvas mail sacks, each upcycled pouch and tote features markings from the original carryall, along with distressing, light fraying, and patch marks from years of service. Plus, all iPad cases are lined remnant Ultrasuede scraps—all the better to keep your precious cargo safe through rain, sleet, and gloom of night. TerraCycle has made a name for itself by turning landfill-bound objects into one-of-a-kind accessories, and its newest line of bags is no different. Stitched together from decommissioned U.S. Postal Service cotton-canvas mail sacks, each upcycled pouch and tote features markings from the original carryall, along with distressing, light fraying, and patch marks from years of service. 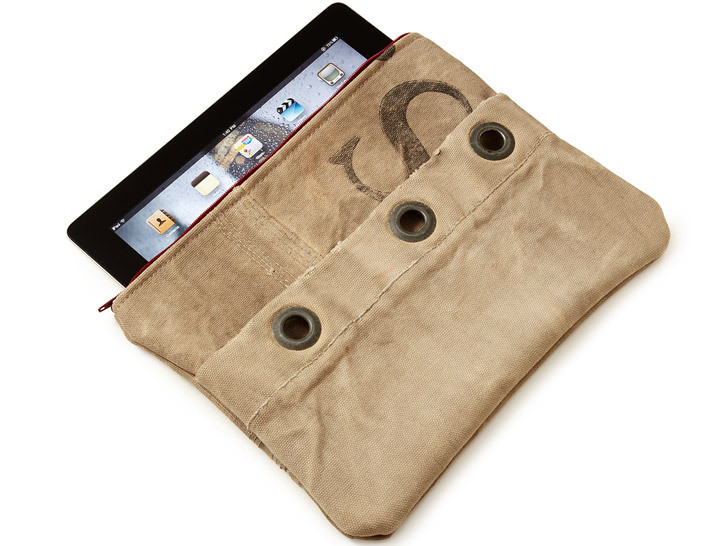 Plus, all iPad cases are lined remnant Ultrasuede scraps�all the better to keep your precious cargo safe through rain, sleet, and gloom of night.